With our staff working diligently around the clock, 365 days a year, you and your staff can not only focus on more vital tasks at hand, but can relax and enjoy The Granite State to its fullest in your downtime. Quality answering services in New Hampshire need to present customers with helpful, friendly and positive support. That’s exactly what Ambs Call Center provides. With telephone answering services and a professional staff working around the clock, we are working for you well after you clock out for the day. This level of support adds a professional image to your business, no matter if you have one employee or one thousand. This support not only gives a great impression around Concord, Manchester and the rest of New Hampshire, but also leads to more repeat business, better reviews and more satisfied customers. With these telephone answering services at work for you, 24 hours a day, 7 days a week, you can have peace of mind knowing Ambs is hard at work for you, even while you’re having dinner at home or catching a game on TV. Couple that with our call center software, and we’re constantly building and managing a customer base for your New Hampshire business. With our versatile telephone answering services, no company is too large or too small. It doesn’t matter if you receive one call a day or 100,000, we can help your New Hampshire business grow across New Hampshire and the country. 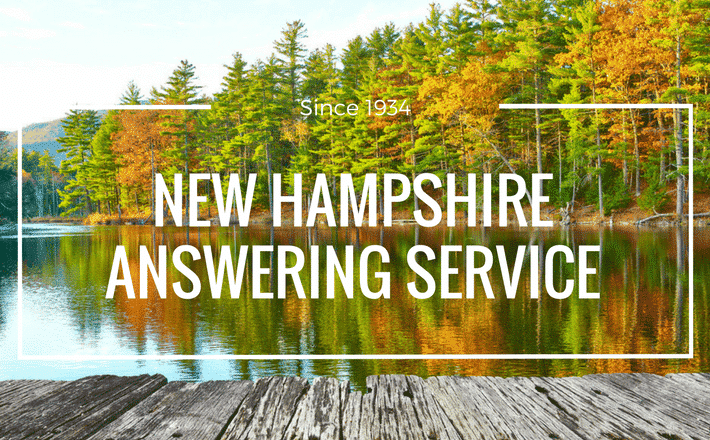 Contact us today to learn more about our New Hampshire answering services and call center solutions.